Many times I was asked how the Ball of HOPE came into existence and here it is: the story of the Ball of HOPE. Being appointed chaplain to the German-speaking Catholic Community way back in 1997 I felt not a lot of willingness to raise money for the community via a bazaar, selling all the stuff nobody wants and thereafter give away for the next event of this kind. So I resolved to have a dinner – dance – booked the Mount Nelson, invited Archbishop Desmond Tutu – who to my surprise agreed to come and talk – and simply started with 70 people attending the first such event. In 2000 a young woman called at that time Anja Spandern moved to Cape Town to open the office of the SA-German Chamber of Commerce and Industry. Being her first customer – in need of some donations – a common plan was hatched to turn the dinner – dance of the Mount Nelson into a real ball. As in 2001 also HOPE Cape Town came in to existence, the Ball of HOPE was born. 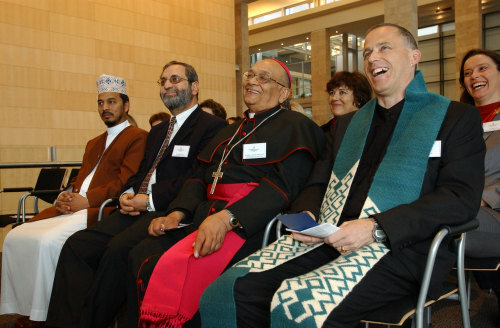 The venue moved in 2003 to the Westin Hotel after having had the honor to bless the hotel during the opening ceremony together with the late Archbishop Lawrence Henry and other religious leaders of different faith. Ever since that day the Ball of HOPE, HOPE Cape Town and the Southern African – German Chamber of Commerce are interlinked with the Westin Hotel, and I hope that this event of fundraising, but also entertainment, good food and a fabulous vibe will remain on the social calendar for many more years to come. HOPE Cape Town is grateful for all the support rendered via the Ball of HOPE in the last years – and to talk numbers. I started in 1998 with a proceed of 20.000 Rand in total – in the last years the proceeds going to HOPE Cape Town were in the range of 150 000 – 200 000 Rand. Every cent of this money went straight and without deduction into the work of the organization, every cent was transformed into hope for a child, a family suffering from the consequences of HIV, AIDS or related illnesses. This was quite a year – and even as it is not ended yet, some reflections cannot harm. 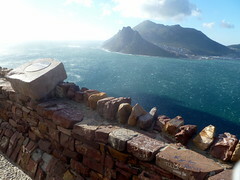 Lots of travel I have undertaken to further the cause of HOPE Cape Town. 5 overseas trips gave ample opportunity to introduce HOPE Cape Town to new friends, partners and sponsors but also kept “old friends” informed. A special thanks to the visitors from the Bavarian Parliament with Barbara Stamm and Franz Maget amongst others who assisted in organizing a 3 days visit to the European Union in Brussels to learn about the EU- SA relationship first hand. What an insight and a privilege. My annual trip to Dresden to attend the HOPE Gala is a must every year – what a delight to see many people again and again flocking to this event. The USA, Fr Paul, Joe and Shirley – we laid the ground for hopefully good joined work in the new year, not to forget the meeting at Fordham University in Manhattan. At home here in Cape Town the Ball of HOPE proofed again to be a social highlight and a great marketing tool to keep the ideas of HOPE Cape Town floating. We welcomed new staff to the HOPE Cape Town Association, among them Izane as program coordinator with excellent skills and Charles, coming from Durban with lots of new ideas for marketing and fundraising. With Martin and Jacobus, two new trustees were inducted. We mourned the death of our trustee Auntie Pat and were grateful to had her on board for so many years.New plans to develop HOPE Cape Town, to add programs like HOPE to HOME and identify other gaps in the roll out and care through the official health services were also on the cards . For me, finding a spiritual home in supplying Holy Mass in Milnerton, Brooklyn and Manenberg amongst others was equally important as was the visit of “my” Bishop Stephan Ackermann from my Diocese of Trier. Showing him how project work, caritas, diakonia, missionary work in the best sense of the word – understood like Pope Francis does – , pastoral work and the interaction between all these lines of work was important to him as it was to me. Being a chaplain to sea and even being able to play a priest for a German TV production – quite some new experiences I don’t want to miss. I already mentioned the loss of Aunty Pat. I also lost my dad and we here in South Africa lost with Madiba the father of the nation – and both within a week – quite a tough time and full of emotions I never thought I have in me. It also showed me that there is still a learning curve to accept death as part of life – nothing can prepare you when it comes close to you. All mental preparation is fading in minutes. I am continuing reflecting on 2013 and looking forward to a 2014 full of life, joy, challenges – but I am sure – being unconditional loved by God – it will work out and add another exciting time period to my life time. 10/03/2013 • 7:14 am Comments Off on Tell me, what makes HOPE Cape Town special? Planing strategy and looking at the state of affair as it is in the moment: HOPE Cape Town has always to check its relevance and its direction for the future. It is an ongoing process. And as the word “HOPE” is used more often in the broader Cape Town area since the visit of Angela Merkel there is a need to have a proper marketing strategy and a distinctive logo and branding. The logo is in existence and even protected, what keeps an organization in Kwazulu Natal not away from advertising themselves with our logo. It seems some are going to an extreme length to try to cash in. Nevertheless it would be interesting to hear from our supporters and sponsors what they think is unique or laudable on the work HOPE Cape Town is doing? What do our Facebook and Twitter friends think or value most? Please feel free to give it a thought – check our website if need be and let me know: stefan (at) hopecapetown.com. Or leave a message on our Facebook page, twitter us or comment on this blog.